With the warmer months approaching on the horizon, most people are already daydreaming of spending their afternoons basking under the hot sun, with a refreshing drink in hand, and listening to the waves crashing into the sand. If you’re one of those people, then it’s time to start planning your next beach trip! Step 1: Round up the troops. Pull together a crew of friends that you’d enjoy spending a few days with. Bonus points for anyone who can contribute a cooler with all your favorite drinks, some mats to sunbathe on, and a football, a frisbee – or whatever keeps you busy on the beach. Step 2: Choose your next beach destination. There are hundreds of beaches that surround the coastlines of the U.S. and you would be #blessed if you had the chance to visit every single one to find the best beach in the country. To save you some time on that search, we asked over 1,000 people throughout the U.S. which cities and towns are the best location for a beach trip. Keep reading to see what they have to say, and maybe you’ll find your next ideal destination by the time you scroll all the way to the bottom. 1. Hilton Head Island, South Carolina: Tucked away in the southernmost point of South Carolina, Hilton Head serves as the perfect beach location for anyone who loves outdoor activities! 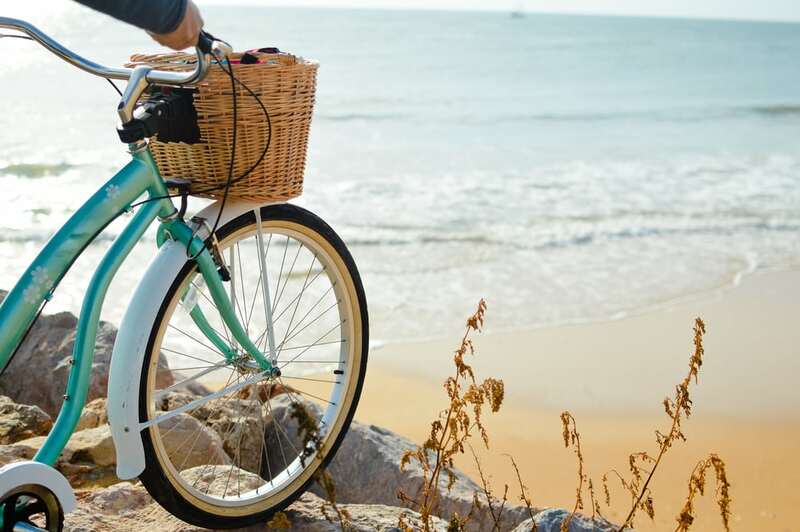 You can rent a bike to explore over 50 miles of scenic bike paths, or complete a round of 18 holes on one of their first-class golf courses. Other outdoor activities at Hilton Head include horseback riding, kayaking and fishing. But of course, we can’t forget the beaches! Hilton Head has a handful of different beaches to soak up the sun in. The most popular beach on the island is called Coligny Beach, conveniently located by Coligny Plaza, where they host nightly entertainment, live music, and special events throughout the year. If you’re traveling with kids, we suggest taking them to either Driessen Beach or Islanders Beach. Both locations have playgrounds that can keep the little ones busy while you sit back and relax. For those who are in search of the road less traveled, you can find your way to Fish Haul Creek Beach or Mitchelville Beach, which are typically less crowded than the other beaches on the island. These secluded spots require a little bit of a trek, so we only advise to head there if you’re feeling adventurous! Ready to take a trip to Hilton Head Island? 2. St. Augustine, Florida: Florida has definitely earned its title as a top beach destination in the U.S. because of its Caribbean-like coasts and perpetually warm weather. Hundreds of college students flock to Miami seeking the spring break of a lifetime, after all. But if Miami is the mecca for a wild spring break getaway, then St. Augustine is your go-to city for a laid back beach trip. Just an hour drive away from the Jacksonville International Airport, St. Augustine stands proudly as oldest city in the country. It was founded in 1565, over 200 years before the U.S. gained their independence, and the State of Florida rightfully does their part to preserve the city’s historic charm. 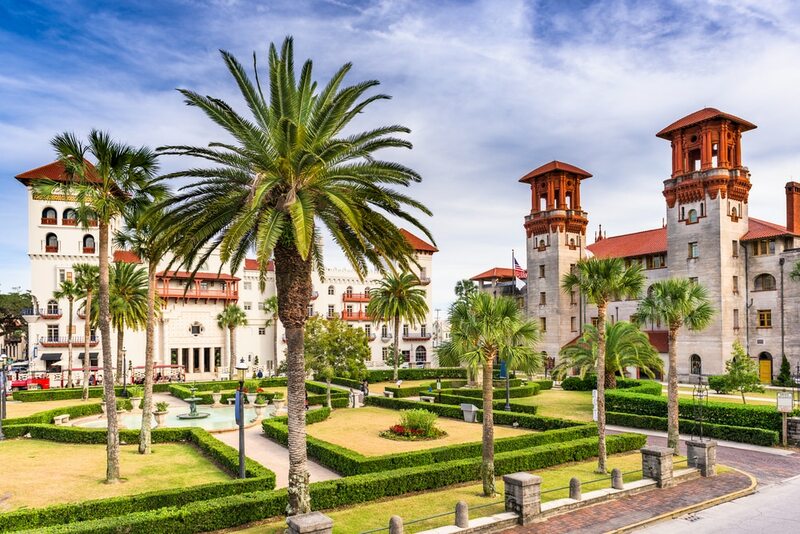 As you set foot on St. Augustine’s streets, you’ll be greeted by majestic buildings with European-style architecture, the occasional horse-drawn carriage, and 42 miles of incredible beaches as far as the eye can see. One of the most striking sites at St. Augustine is the Castillo de San Marcos. This national monument is the oldest structure in St. Augustine, originally built as a fort to protect the city from attack. Now a regular tourist attraction, anyone can see for themselves how impenetrable this structure really is. You can pretty much drive along St. Augustine’s coastline until you find the right chill spot for you, but we’d suggest starting at Vilano Beach up north, making a pit stop in the Colonial Quarter, and then cruising all the way down to Crescent Beach in the south. The Colonial Quarter serves as the city’s historic time capsule, with over 450 years of stories etched within the village walls. Heavily influenced by Spanish, British and Cuban culture, the Colonial Quarter also has several of authentic restaurants for foodies to indulge in. Travel back in time and visit St. Augustine now! 3. 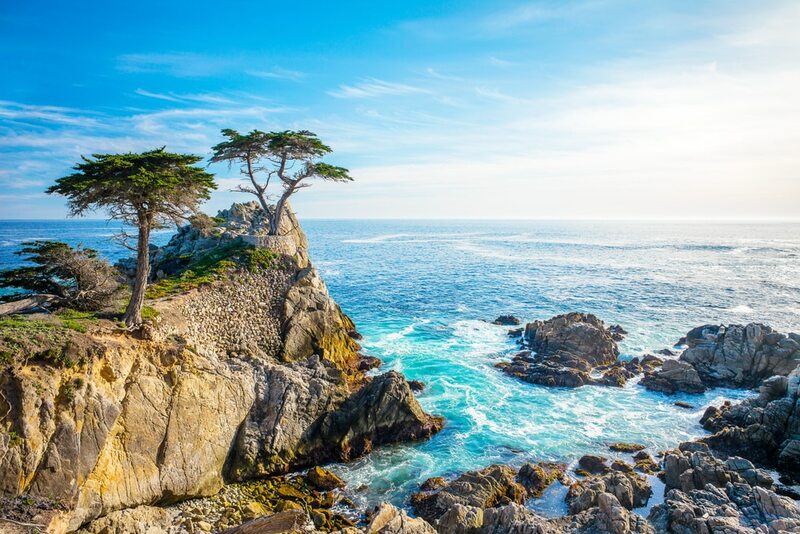 Monterey, California: There’s a long list of reasons why you should visit Monterey, but the first is to experience the iconic 17-mile drive. If you’re planning to rent a car on your trip, you’d probably enjoy this drive with the top down. You get 17 miles of scenic views with a variety of beaches, cliffs and forests in sight. It’s the perfect drive to bask in the sunshine with your favorite song on full blast, and throw all your worries right behind you. Care for more adventure after this drive? Visit Skydive Monterey Bay and try the world’s highest tandem skydive, with spectacular views of the ocean right under your nose. Not to mention, if you’re a fan of classic American novels, then you’ve probably heard of author John Steinbeck, a local Monterey legend. He even has his own museum called the National Steinbeck Center, just 30 minutes north of Monterey. His book, “Cannery Row” takes place in Monterey’s most famous street, which the book was appropriately named after. Although times have changed since his novel was published, Cannery Row is still a must-see if you decide to visit this Californian beach town. As you take a stroll down the Row, you’ll find that there’s plenty to see and do, but the most notable things to check out are the Monterey Bay Aquarium, and to treat yourself to a wine tasting on Cannery Row. Within one block on this road, you can choose from five different tasting rooms that house wines from 175 different vineyards throughout Monterey. As you sip on your glass of award-winning Chardonnay, you can look out into the distance and appreciate a gorgeous view of the Pacific Ocean. Find the perfect vacation rental right on Cannery Row. 4. Rehoboth Beach, Delaware: We’re bouncing back to the Atlantic side of the country for our final seaside destination. If you haven’t heard of it already, allow us to introduce you to Rehoboth Beach: your destination for a family-friendly beach escape! This tiny town is packed with sites for the whole family, including four amusement parks called Jungle Jim’s, Funland, Midway Speedway Park and White Water Mountain. 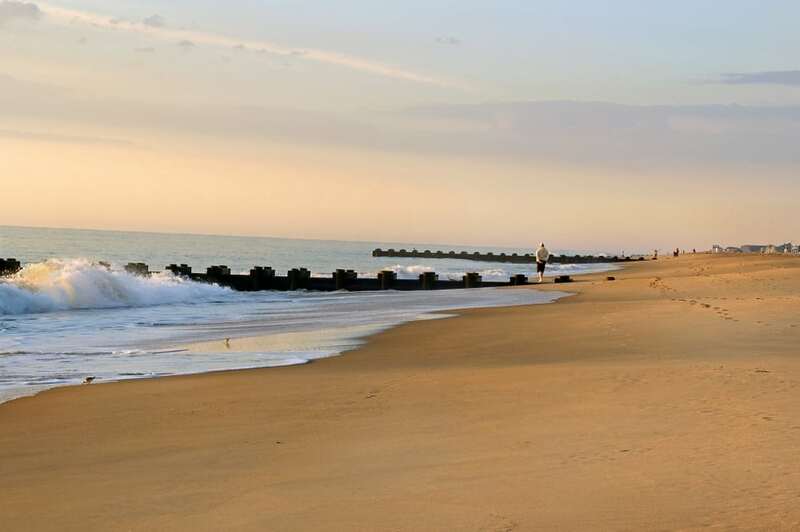 If you want to hit the beach, you can also visit the Rehoboth Beach Boardwalk, which was dubbed as one of the “Top U.S. Boardwalks” by National Geographic. For our food-loving friends, you can venture over to Eating Rehoboth, a walking food tour that allows you to hit all of the city’s hot spots! This all-inclusive tour saves you the hassle of searching for the best local restaurants, and you definitely get your money’s worth of delicious dishes. But if the food tour doesn’t quite fit into your schedule, one restaurant we highly recommend is the Big Fish Grill. This establishment has nothing but great reviews and is part of the Delaware Culinary Trail, an official list of restaurants for visitors of Delaware to get an incredible dining experience. They offer mouthwatering seafood plates that taste so fresh, you’ll want to come back for more! Big Fish Grill also offers highly in-demand cooking classes, so if you’re interested in learning their culinary secrets, you better book your spots ASAP. Step 3: Find a place to call home for the weekend. If you had the chance to wake up to jaw-dropping views, or live just a few blocks away from the beach, wouldn’t you want to seize that opportunity – even just for a couple days? Once you’ve found the best beach town for you, it’s time to find the right vacation rental that suits all your needs, within your budget. VacationRenter can make it happen in no time. It’s always better to plan ahead, because once the summer months start rolling around, the best rentals always get booked quick! Step 4: The countdown to your beach getaway starts now. Get excited because all you have to do now is wait patiently until it’s finally time to pack your bags and go.